Breathtaking beauty comes in solid blue, white and three tiny red cardinals in this winter scene. 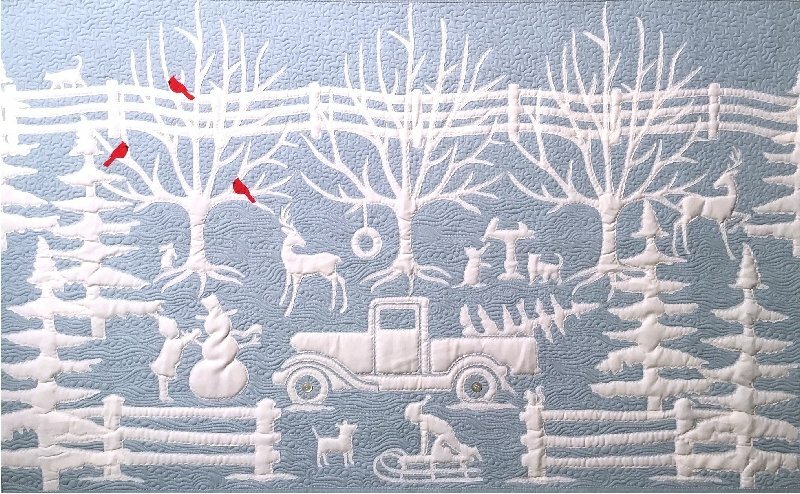 Pattern has JoAnn Hoffman's fusible-applique directions. Wall size 42" x 27".